You started on this crazy rollercoaster of entrepreneurship for freedom and flexibility. Now it’s time to claim it. As a creative entrepreneur myself, I became aware that we’re constantly bombarded with messaging to do more, sell more, be more to grow our businesses. Between the newsletters, the social media posts, the networking events, and trying to have a life too… it’s no wonder you’re always busy and stressed out living in a constant state of overwhelm. But what if the answer isn’t one more social media course, time management tool, or organization strategy, but rather digging deep and changing your mindset around everything that’s been holding you back from actually LIVING the life you want and getting the results you deeply desire. What if you were able to trust in your ability to find focus and prioritize? What if creating better boundaries within your work meant leading a more fulfilling life as a whole? And what if you stopped waiting for the perfect moment to start creating a beautiful, balanced life and a thriving, successful business, and started making small, consistent efforts toward it now? It sounds positively dreamy, doesn’t it? Well, I’m here to tell you that it’s not a dream, but rather a balance between work and life that’s well within your reach. Let’s do the mindset work together so you have the support you need to create more time in your schedule, land dreamy clients, boost sales, have more fulfilling relationships, oh, and actually take care of yourself, too. It’s time to stop putting off the life you want to live someday, and start living it now. 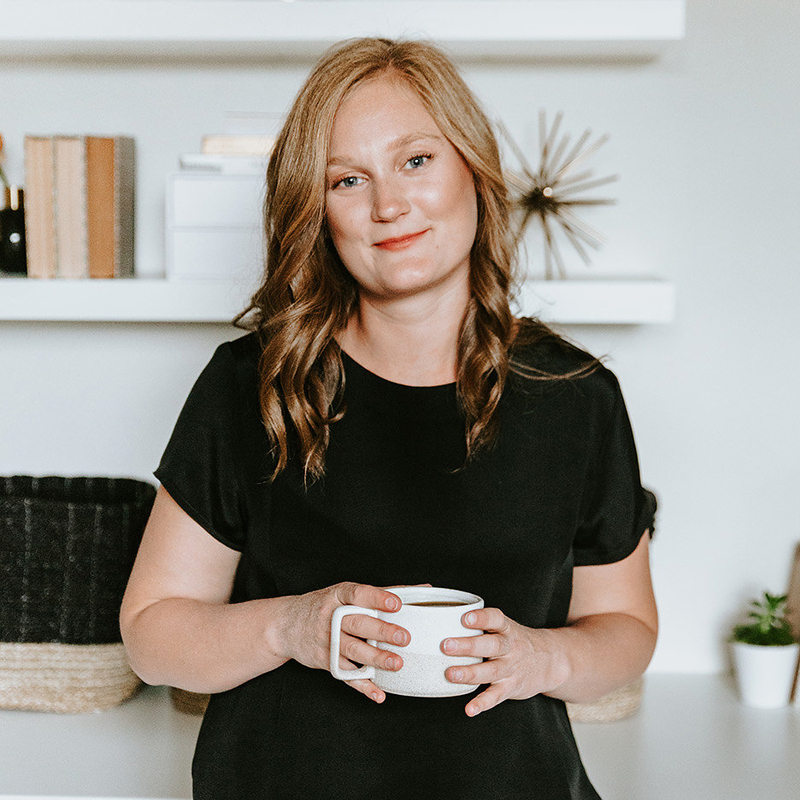 Future You is an eight-week mindset coaching intensive for busy business owners that are feeling stressed and overwhelmed, but are unsure of how to shift so that they can start feeling more fulfilled in their life and business. I’ll teach you to stop over-complicating your day-to-day so you can create your beautiful balanced, life and a thriving, successful business. Through bi-weekly coaching and accountability calls, we’ll fine-tune your mindset, habits, and productivity so you can feel less stressed and overwhelmed and more organized, focused, and all-around happier in your everyday life so that you can grow your business and have more time for what you love. When you started on this crazy rollercoaster of entrepreneurship, you envisioned a life of freedom and flexibility. But somewhere along the way, you’ve lost sight of that balance between work and life. You feel bound to your business and caught up in the day-to-day tasks without seeing much of a reward. During this 45-minute, single-session coaching call, I’ll help you discover what success and fulfillment really look like for YOU. Because the truth is that you may not be getting what you want because don’t even KNOW what you want, and you’re definitely not envisioning that successful life and business daily. By the end of our work together, you’ll walk away with your own custom-designed vision board so that you can SEE the life and business you’re craving and remove the blocks holding you back to believing it can be YOURS. Because being able to see it, to really envision the thriving, successful life and business you’re designing, is a powerful first step toward making those dreams a reality. And looking at that bigger vision daily, is where the real magic lies. You can completely change your life by changing the way that you start each day. It really is that simple. But getting there on your own can be tough. You may know the importance of a great morning routine and how it sets you up for success for the remainder of the day, but you’ve likely been struggling to create a daily practice and stick to it. It’s hard to identify what’s holding you back, find what works for you, keep yourself accountable, and start taking steps toward the life you REALLY want all by yourself. That’s why I’ll support you in creating and implementing a morning routine that’s right for you during this powerful 45-minute call. Together, we’ll identify the actions that you’ll go through each morning and mindset strategies you can use to follow through with your plan. This call has the power to transform every aspect of your life so that you have the confidence, energy, focus, and motivation you need to start living the life you want NOW. You’ll also have unlimited email access to me for one week post-session for added accountability. Not sure which offering is the right fit for you? Book a free 30-minute clarity call and I’ll be happy to guide you toward the best fit.